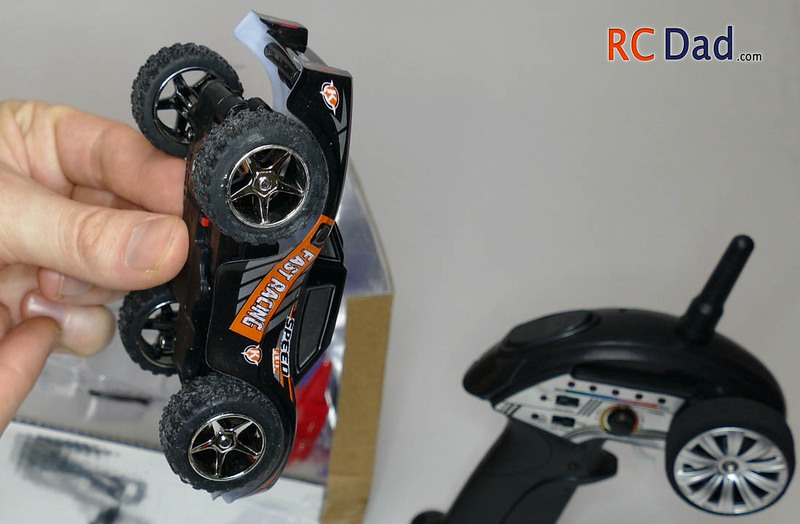 This mini RC car is a ton of fun! 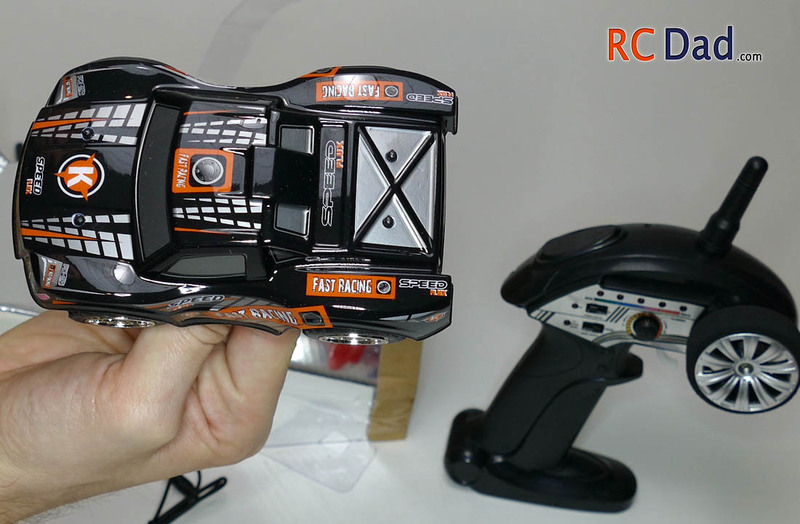 It comes with 20 tiny cones to set up a variety of track in your home or outside. The proportional steering is really nice to have, especially with a car this fast. 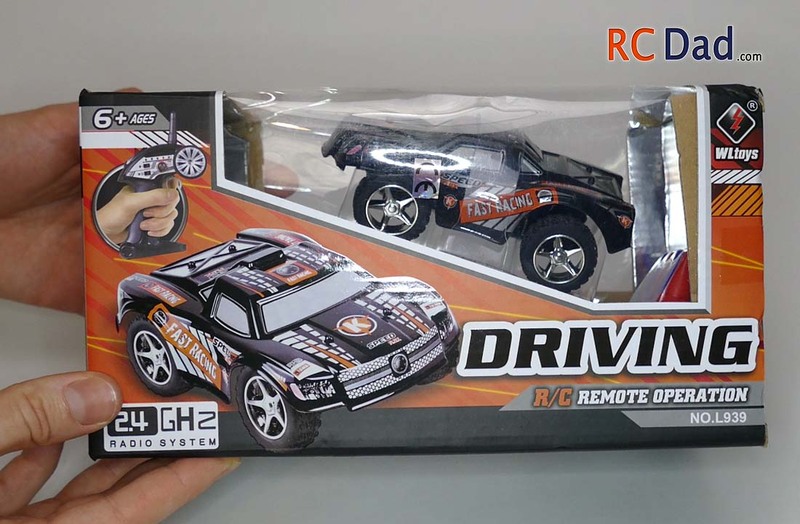 Most rc cars in this price range don’t have the variable speed and turning. The great thing is that it’s almost indestructible when it’s in slow mode making it perfect for inexperienced drivers. Charging is done with a USB cable that plugs into the side of the truck and can be plugged into a computer, phone charger, or a USB charger! At max speed, it’s almost too fast. Its light weight will spend it tumbling if you’re not careful. 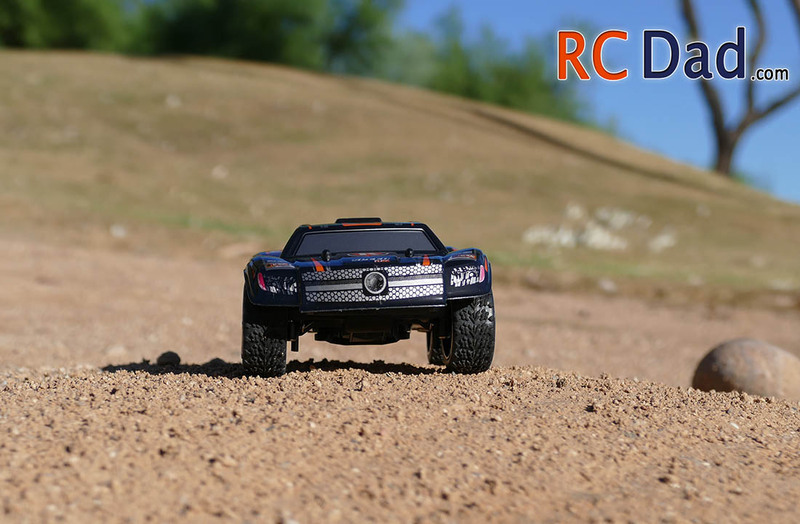 At setting 3-4 is when you can have the most control and fun with this rc car. 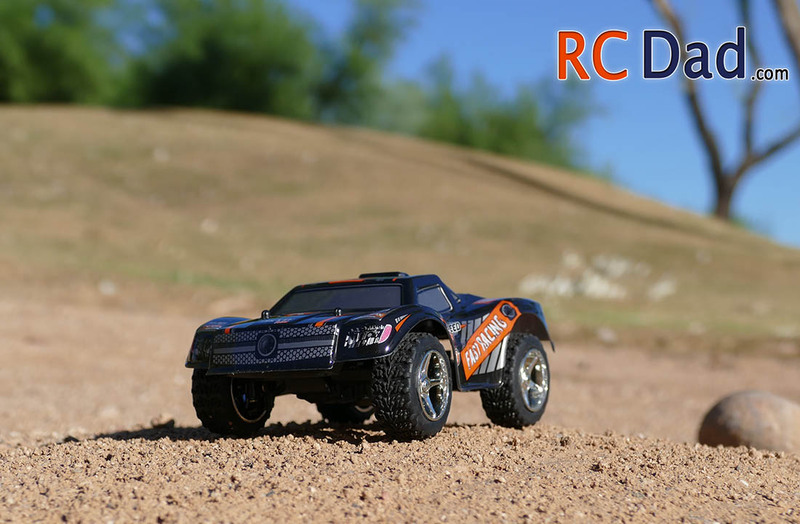 Off roading can only be done in short grass and smooth dirt. 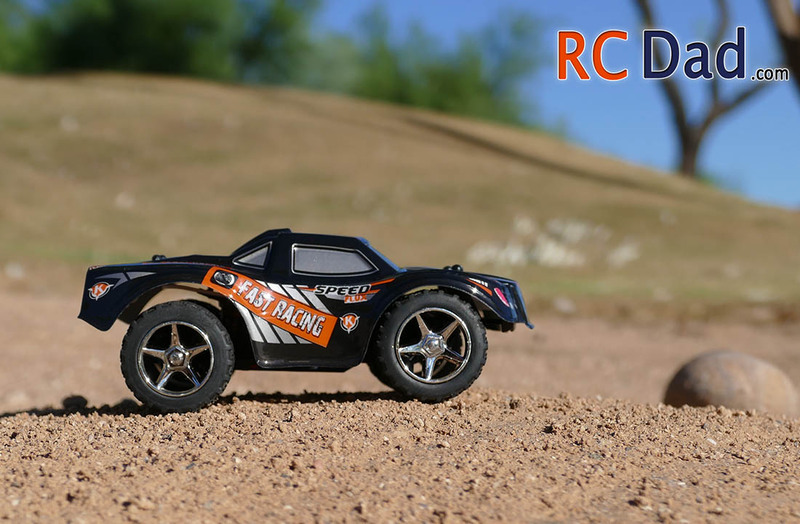 The motor is fast but it’s not powerful enough to go climbing and tearing through mud. 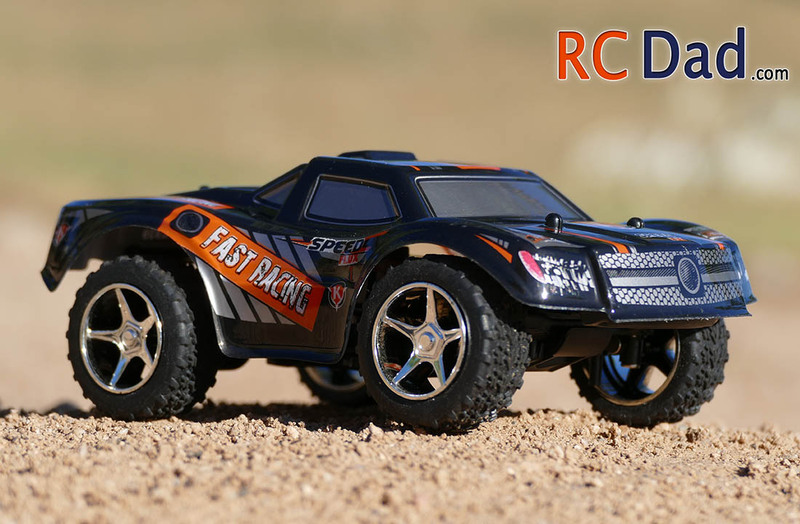 Plus it’s only 2 wheel drive! 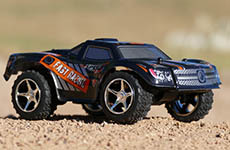 On the carpet, tile, or asphalt is where you’ll have the most fun and best performance.